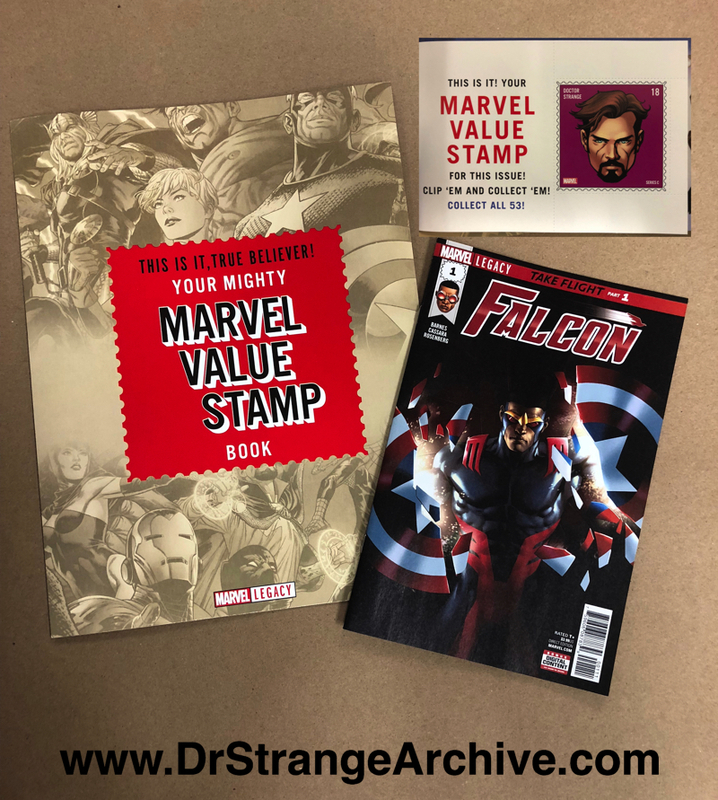 Description: This is the Marvel Stamp Book that came out during the Marvel Legacy event. There are 53 stamps that can be collected and put in this book. 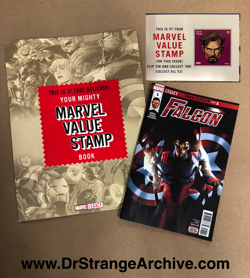 Each stamp can be found in a different issue of a Marvel Legacy book. the Dr. Strange Stamp is #18 and can be found in Falcon #1. The stamp features the face of Dr. Strange.